How do I set up a Disk destination in SQL-RD? 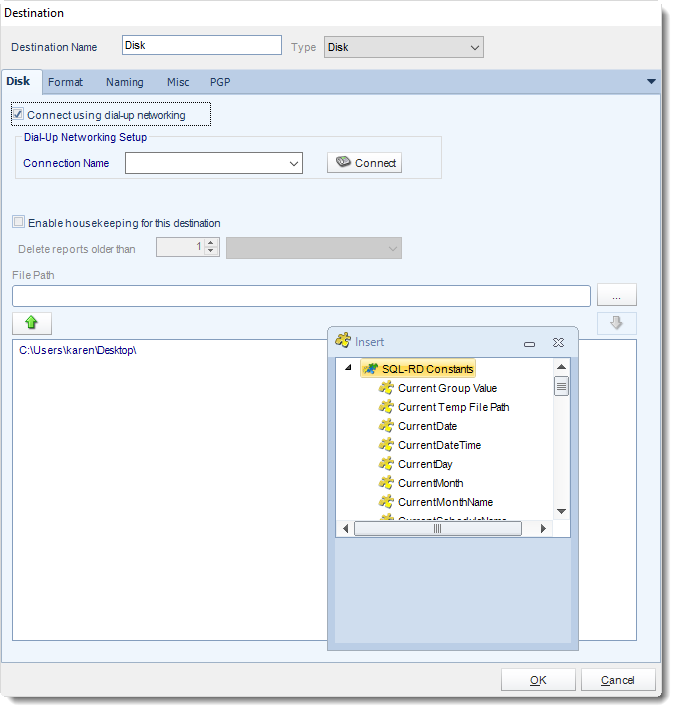 The Disk Destination allows you to send exports of SSRS reports directly to local or network folders. Click Add and select Disk. Connect using dial-up networking: Select this option if you wish to connect to the destination network using Dial-Up Networking or RAS. Select an already existing connection from your existing Windows connections list. 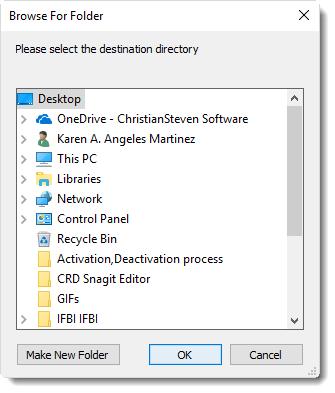 Destination Directory: Browse to select a folder, or type in a path. Enable Housekeeping for this destination: Check this option if you want to delete reports on a regular basis which are older than a specified date. Insert: You can insert constants, formulas and database field values instead of a static "typed in" value. 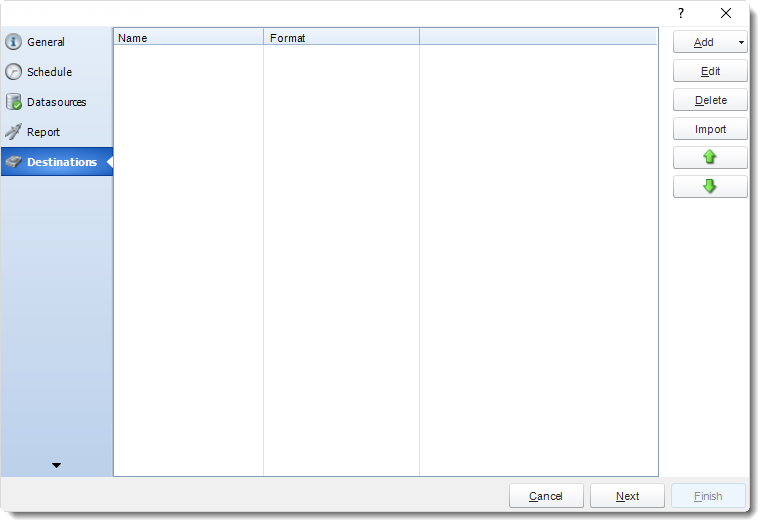 Right-click in the above field to expose the Inserts menu.